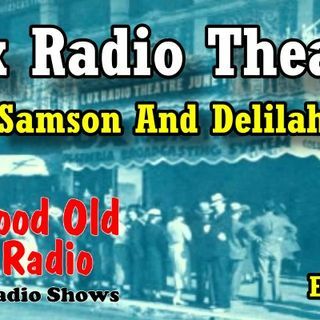 Today we feature Lux Radio Theatre: Samson And Delilah. Company [ABC] in 1943 /1945); CBS Radio network (Columbia Broadcasting System) (1935-54), and NBC Radio (1954–55). Initially, the series adapted Broadway plays during its first two seasons before it began adapting films. anthology series on radio, broadcast for more than 20 years and continued on television as the Lux Video Theatre through most of the 1950s. The primary sponsor of the show was Unilever through its Lux Soap brand. Seventh Heaven starring Miriam Hopkins and John Boles in a full-hour adaptation of the 1922–24 Broadway production by Austin Strong. Peggy Winthrop, who delivered the Lux commercials. Each show featured a scripted session with Garrick talking to the lead actors. to May 25, 1936, when the show moved to the West Coast. Leslie Howard and Edward Arnold. Thin Man, featuring the movies actual stars, Myrna Loy and William Powell.